Fitness shouldn’t interfere with life’s responsibilities. You have to find a healthy balance. 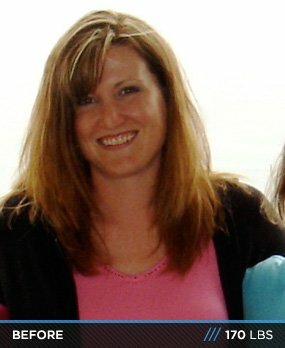 Tonya struggled with it for years until an “expert” prescribed her a trainer and a gym! I didn't consciously decide to transform. I knew I was stuck and determined to achieve a healthy, quality of life, and a body that I deserved. I've always been extremely active and overachieve at everything by pushing to extremes. In my late 30s, I was full steam ahead with three kids and a brand new company. I transferred my energy and focus into everything and everyone around me; giving, giving, giving, and never taking time to make myself, my health, or my state of mind part of the big picture. It didn't take long to get lost in the business of life. My day was filled with the demands of raising a young family and the start-up business venture. When reality hit, it hit hard and without apology. I woke up on my 37th birthday, looked in the mirror, and didn't recognize the woman looking back at me. She was tired and haggard. She looked old. What hit me hardest: this woman lacked passion. There was no essence to this woman. Something had to change and it had to start with me. Two of my children were involved in taekwondo. When I heard they were introducing an early morning kickboxing class, I joined and was hooked. There was nothing that could keep me from class; it lead to taekwondo and eventually to competing. Martial arts became an important element of my life. Everything I used to worry about got done. It wasn't always easy and there were days I felt like crashing, but it worked out and nobody felt neglected or pushed aside. I was on fire and nothing could derail or stop the momentum I had. Or so I thought. I always had issues with my lower back, but never let it stop me. At 39, I was completely stopped with two herniated discs and degenerative disc disease. I had to stop kickboxing and taekwondo. I was shattered, but determined to get answers and feel better. A year later, after few answers other than surgery, which I was totally against, I begrudgingly agreed to see one last "expert." He walked into the exam room and prescribed a trainer and a gym membership. I hated gyms, but what did I have to lose? I was inactive for a year, gained weight, and depressed about how I looked and felt. It was affecting everything and everyone around me. I had to initiate a change and tackle it. I couldn't believe the changes happening to my body after two months of training. I felt stronger mentally and felt powerful and ready for anything life threw at me. Training became the fuel I needed. I wanted a goal to keep the momentum going, so I asked my trainer about competitions. We found one 11 weeks out and hit it hard. I placed second in my first competition and went on to provincials were I placed fifth and sixth. I never looked back. 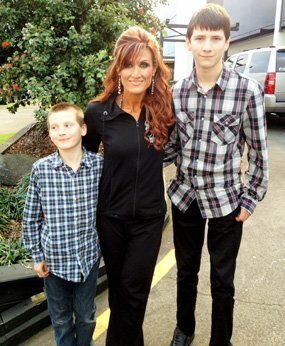 My children and I moved to New Zealand where I continue to train, compete, and place in women's figure. I'm currently getting ready for a competition in Auckland. Winning is awesome. Winning a national title would be an absolute dream come true. Is it the single motivating factor pushing me? No. I do this for me. Every morning I have to be better and stronger than I was yesterday. This is a competition with myself. I'm a work in progress; happily flawed, but always seeking a better and improved version of the woman I was yesterday. This is my passion; my soul food. I'm insanely focused and driven, but as far as accomplishing goals, I have a long list of people to thank. Without them, I wouldn't be where I am today. I had two of the best trainers I could ask for. They pushed me to extremes during every training session, provided extraordinary lifting and nutrition plans, and are behind me 110 percent. I was part of an amazing team at my gym. These women got me through days when I wanted to eat cake and watch TV. Thank you, ladies. Since my training began, I've managed to be in fabulous company. Even after moving from Canada to New Zealand, I ended up at a great gym with a wonderful trainer who has become a dear friend. And again, I'm surrounded by an incredibly supportive team of dynamic women. I give tremendous credit to the people who have been there, supported, tolerated, and pushed me. Without them, I wouldn't have been able to do this. Beyond the incredible people and their support, I'm militant in sticking to and following my training schedule and eating plan. During competition season, I train with weights 4-5 days a week and do cardio 5-6 days a week. My trainer and I pay close attention to my mood and physique and make adjustments in the training schedule to keep me on track. I'm a big believer in constantly and consistently setting goals. As soon as I reach a goal, there's another one already in place waiting to be tackled. Always having a new, tougher goal keeps the momentum going. It keeps me focused, on track, and moving forward. The most challenging aspect for me is the diet. I don't get hungry on my diet, but carb cycling messes with my head. This is where "team support" is crucial. Anyone who has prepared for a competition knows how difficult it can be. Knowing that there are others rooting for you is extra motivation that helps me dig deep and push through tough days. I plan to continue training and competing for a few more years, or until I'm told, "You're too old, get off the stage." I love this sport. When I decide it's time to hang up the bikini, I'll continue to work with clients and help them achieve their fitness, health and competition goals. If I can do it, anyone can. Do your homework, ask questions, and find the best people to train, guide, and support you. If something isn't working, speak up. This is your journey and you have to see results and enjoy the process. This is a competition with yourself. When you get that, nothing will stand in your way. Bodybuilding.com is the best resource for seasoned athletes and beginners. It has everything you could possibly want or need; exercises, programs, eating plans, recipes, inspiring stories. There's not a day that goes by that I don't go to Bodybuilding.com for something specific or to browse and see what's happening. I love it.